Prepare dumplings according to package directions. Drain dumplings, add to a bowl. 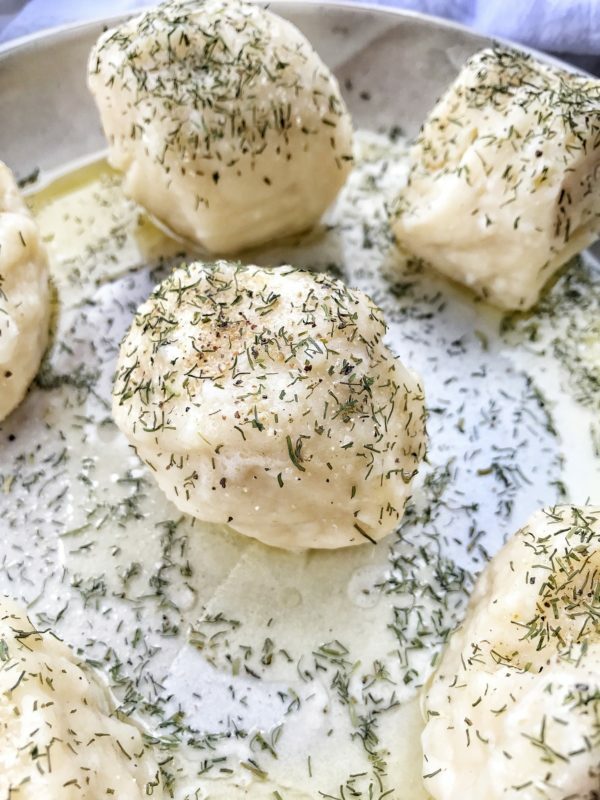 Melt butter, toss the dumplings in the melted butter and top with the salt, pepper, garlic powder, dill and onion powder. Add more dill to taste, we love lots and lots of dill!